Get Ready to Dance Friars! 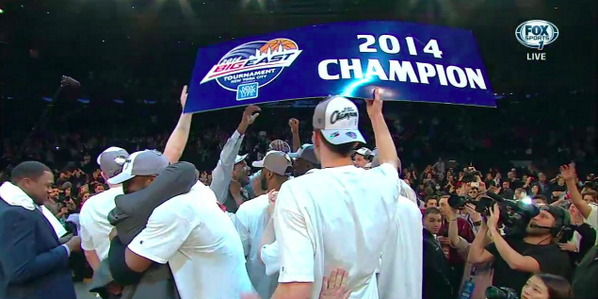 The Providence College Friars are Big East Champs! In the words of Ed Cooley, “What bubble? 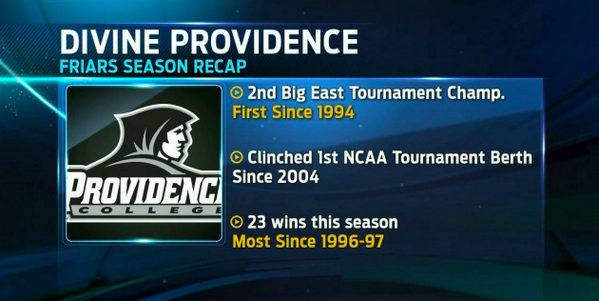 There’s no bubble, we bursted that bubble tonight baby.” And just like that, the Providence College Friars come out of New York City as Big East Champions for the first time since 1994. 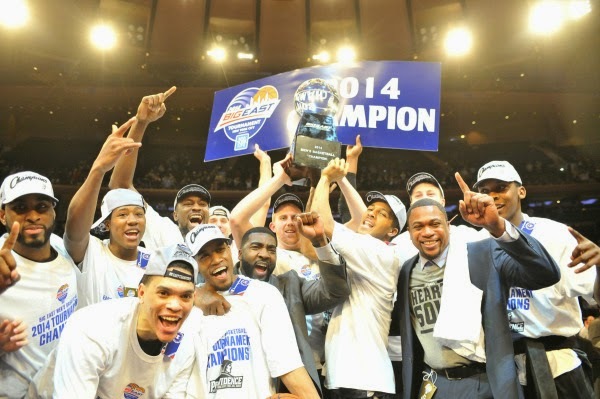 This is PC’s 2nd Big East title in the 35 year history of the Big East Tournament and even though this is a new looking Big East conference, there is no diminishing what this group of players has done this year. After losing 3 players (2 starters) before the season even started, who were going to see significant playing time this year, this Friars squad has gritted their way through the season, logging massive minutes by being limited to basically a 6 man rotation. Case in point, 4 players (Cotton, Fortune, Harris, and Henton) played 40 minutes last night on their way to a win over #14 Creighton at Madison Square Garden. Try and find another team in college basketball whose starters are playing those types of minutes…you can’t. 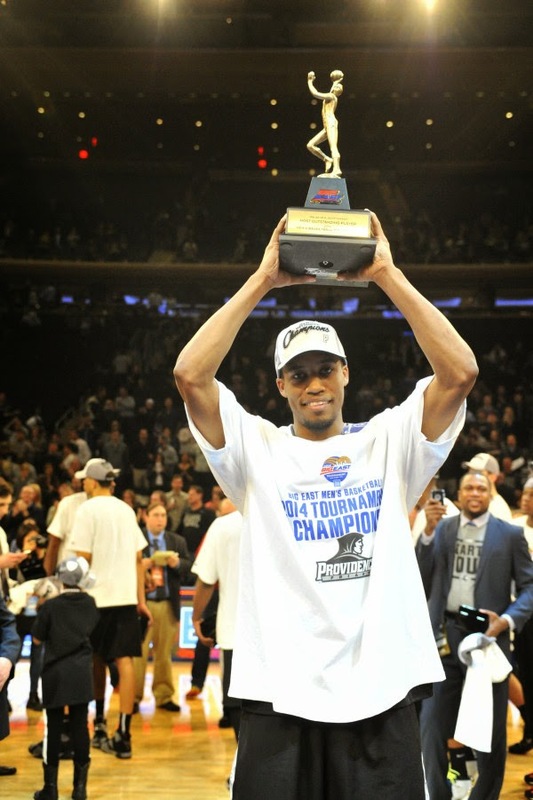 Bryce Cotton finally made his presence felt in the Big East tournament by the 2nd half of this championship game, scoring 16 of his team-high 23 points. A different player had been stepping up each game in this tournament as Cotton struggled to found his shooting stroke that carried the Friars through the regular season. Josh Fortune carried the Friars with 24 points against St. John’s and LeDontae Henton muscled his way through Seton Hall with a masterful 26 point and 14 rebound performance. The Friars were able to hold both Creighton and (most likely) National Player of the Year, Doug McDermott in check in the first half as the Blue Jays sputtered their way to a season low 17 points in the first half. Providence was basically using 1 1/2 guys at all times to try and contain McBuckets during the game and at least he didn’t go off for 45 this time around (he still led all scorers with 27). Creighton was able to find a little chip in the Friars defensive scheme by having one of their guards set a pick at the top of the key and once the Friar defender went to slip underneath it, McDermott proceeded to knock down NBA-distance threes. This happened three times before the Friars managed to push him just far enough out of his range on their 4th attempt to run this play near the end of the game. Sometimes you forgot that McBuckets can drill shots from pretty much an any distance, but thank God he couldn’t knock down every single one. I was attending PC the last time PC was in the Big Dance, the year Ryan Gomes was a first team All-American selection when we lost to Pacific as the number 4 seed. We were great all season long and then lost gas at the end of the year, losing our last 4 games back in 2004. It looks like we’re having the opposite journey to the tournament this year, so hopefully we’ll have the opposite outcome. 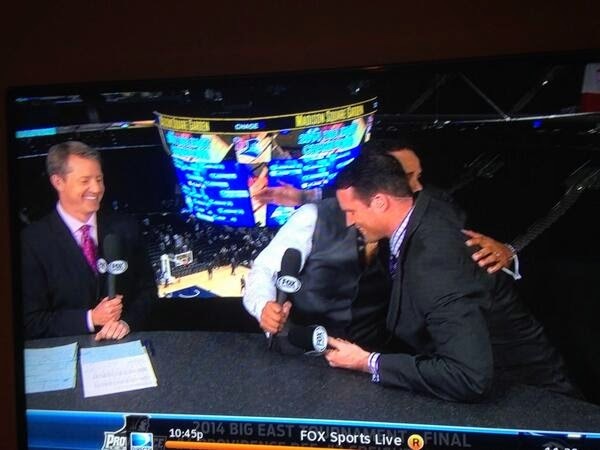 Coach Cooley is the best thing that could have happened to Providence College Men’s Basketball. 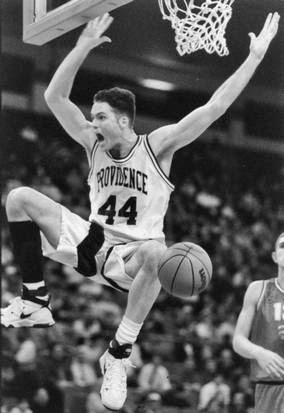 He’s passionate, the players love him, and he WANTS to be the Providence Coach. 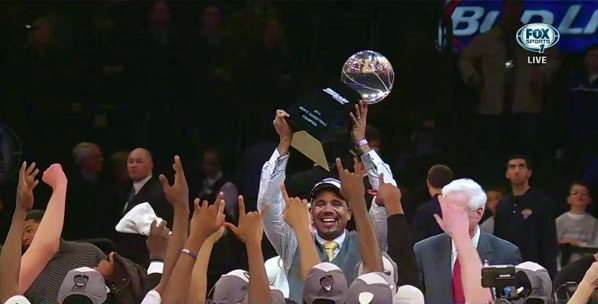 Unlike some other coaches who might use PC as a stepping stone to a bigger job opening, Coach Cooley’s dream job is PC. This is the job he has worked to get all along, and I for one couldn’t be prouder to be a Friar and have him represent us in athletics. The scene with Austin Croshere and Coach Cooley doing the post-game and hugging it out was the perfect representation of being a Friar. Here’s some pictures to close it out as we wait to see where we end up seeded. Fingers crossed for out West so I might catch them when I’m out there next week.